As we mentioned in an earlier blog on boosting sales with a seasonal menu, a new season is just around the corner. You may already be thinking up new menu items for autumn, but there are other preparations you should be making as well. We highlight 5 ways to prepare your restaurant for fall. 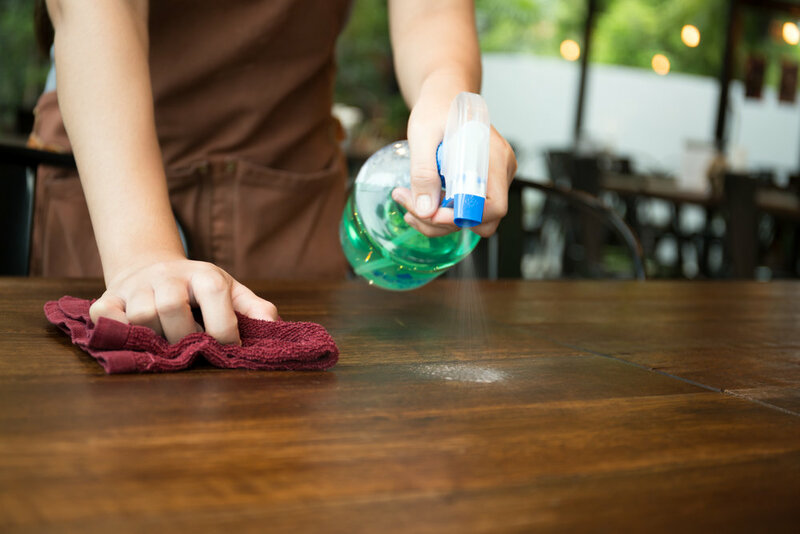 The catchphrase is spring cleaning, but there’s no reason why you can’t spruce things up around your restaurant ahead of fall! Give your kitchen a thorough scrub, clean out the refrigerators and freezers, and make sure your dining space and restrooms are sparkling. With the busyness of business getting in the way, it’s easy to forget to clean tough to reach places, like the tops of chandeliers, behind tables and chairs, and in the shelves and drawers of your space. When the weather gets colder, germs spread quicker, and you want to start the season off in tip-top shape! Plus, the cleanliness of your restaurant is a direct reflection of your business and yourself. You don’t want guests walking into your establishment to see dirt and dust. Research performed in the UK showed that restaurant cleanliness was a more important factor to patrons than customer service. Keep it clean! Health inspections typically happen twice per year and are usually unannounced. You always want to be prepared for a surprise visit by keeping your restaurant as clean as possible. It’s wise to keep your staff informed about the correct food handling and sanitation procedures. Restaurants are shut down over violations of health codes, food handling, and cleanliness. The New York City Department of Health and Mental Hygiene began requiring restaurants to display their health inspection grades in 2010. This allowed customers to enjoy more transparency about the status of the restaurant they choose. Since this took effect, there have been less restaurant closings and more higher grades across NYC’s 23,000+ restaurants. According to NYC Health, 21,968 NYC restaurants have passed with an A grade for sanitation in 2018. At the same time, 58 have been closed so far this year due to a failing health inspection grade. Sanitation matters. You don’t want to lose your business because you didn’t take care of your restaurant space properly. You’re probably saying goodbye to some staff members who are headed back to high school or college. If you’ve recently hired some new employees for your team, you’ll want to properly train them before they hit the dining room floor. Create a training schedule to help training run smoothly. Assign current employees to training duties and designate specific days and hours to training efforts. Having a clear strategy can help the training process be more efficient and useful. You want new employees to stick around. Unfortunately, the average tenure of a restaurant employee is 1 month and 26 days. Proper training and ongoing education, along with incentives, can help you with employee retention. Be confident that your new employees are educated about the important elements of your restaurant. Staff should be well-versed in all the menu items, including seasonal items, the operations of your restaurant, and the customer service standards you want them to abide by. Take newcomers through important motions, from setting the tables to serving food. Allow them to shadow current employees to see how best to execute their duties. 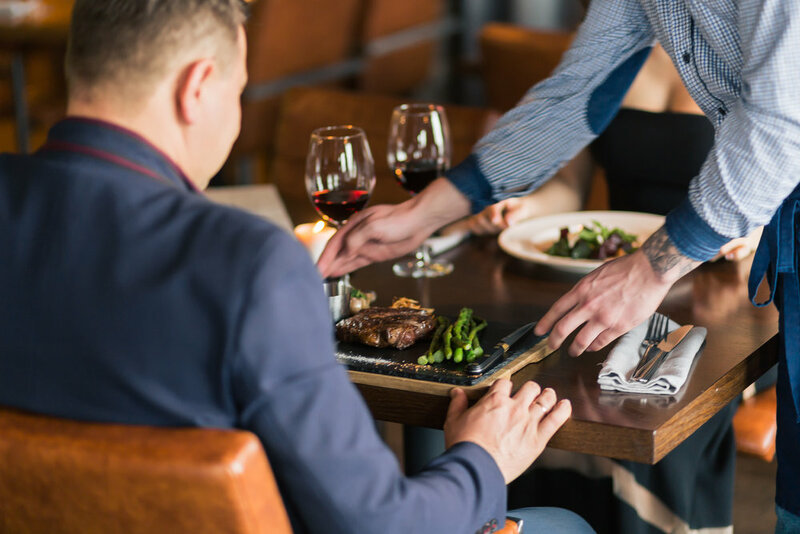 Learning firsthand the ins and outs of your restaurant gives new employees the experience they need to be confident in performing positively in the role. You can also consider mixing in some online training to help staff become educated independently. Even seasoned staff members may need a refresher course. Offer ongoing training opportunities to help your staff stay sharp and become better at their tasks. This can even lead to promotions and advancement within the company. Autumn brings a sense of warmth and comfort, reflect this in your restaurant’s decor. 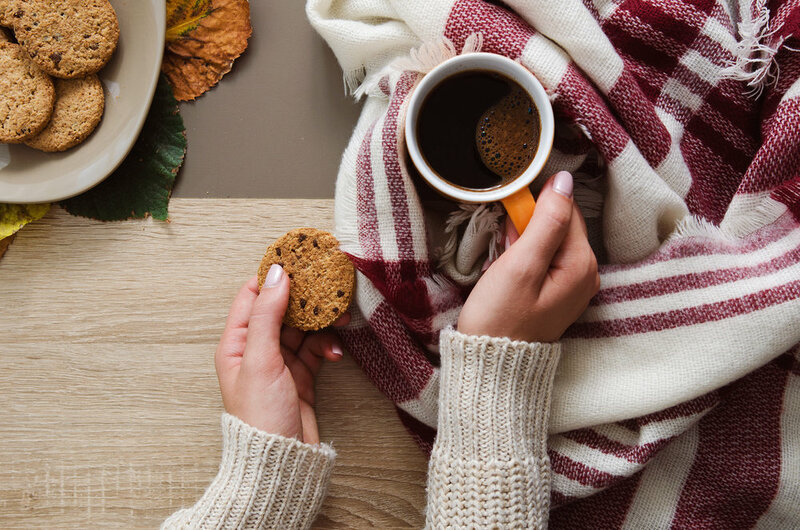 Depending on your restaurant’s ambiance and design, there are plenty of design elements you can incorporate to make it seem more like fall. Small details, like napkins or plates that are dark fall hues, like brown, auburn, or burgundy, can add a pop of deep color. The Pantone color of the year, Ultra Violet, is a rich purple that could work well with your current color palette. New tablecloths can easily give your space a fresh look. Color has an effect on how we perceive food and on our mood, learn more about that here. Do you have a fireplace or mantel? Decorate it with fall foliage and real harvest items like pumpkins and gourds. Create centerpieces with faux leaves, wood influences, and candles. 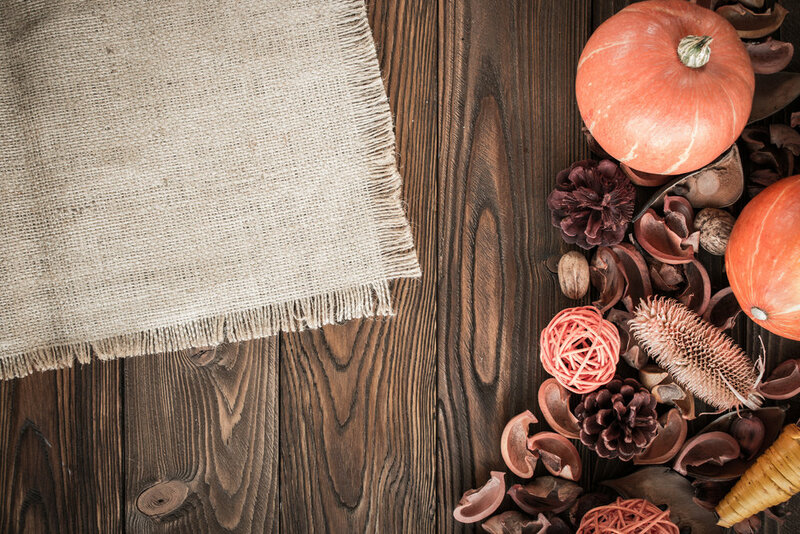 Fabric like burlap is cost effective and can be used for table runners or tied around mason jars for table decor. Earthy elements can help bring the outside in and make guests feel at home. Instagram has a huge influence on how people perceive restaurants and food. Create an area perfect for an Instagram photoshoot. Warm lighting and props like those mentioned above can help stage the perfect fall tablescape for a photo-op. Ask customers to tag your restaurant social handles and use your business name as a hashtag, or make one up specifically for this! Introduce the new season by inviting guests for a fall gathering. September 22nd is the first official day of fall. It’s a Saturday, which is the perfect time to host an event at your restaurant. Consider hiring a band, offering complimentary fall treats (apple cider doughnuts, pumpkin pie, apple crumb bars), and introducing your seasonal menu. A changing season gets people excited about a new start, so take advantage of this by celebrating. With autumn comes a new season of sports, most notably professional and college football. If you’re running a sports bar, bar and grill, or casual dining concept, you should prepare for your sports-related events. What specials will you offer? Do you have televisions and seating for proper game viewing? Make your restaurant or bar the premier spot to enjoy football games for the season. 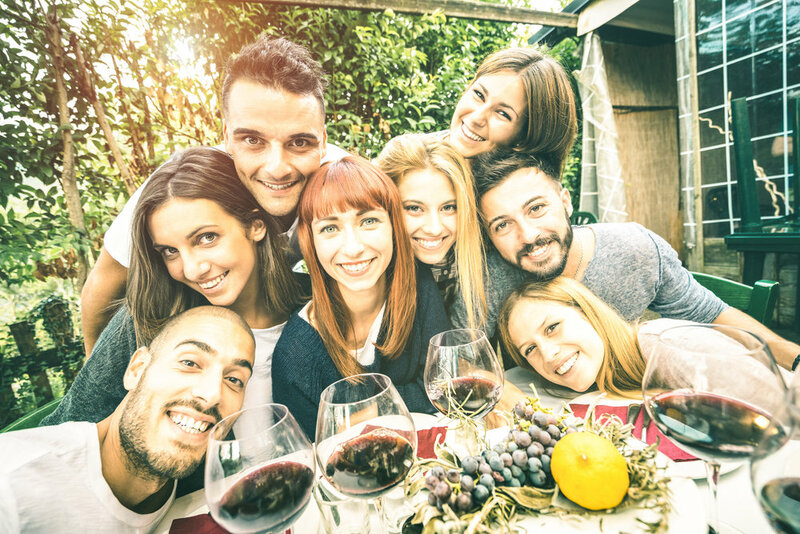 Looking for a non-sports social gathering? 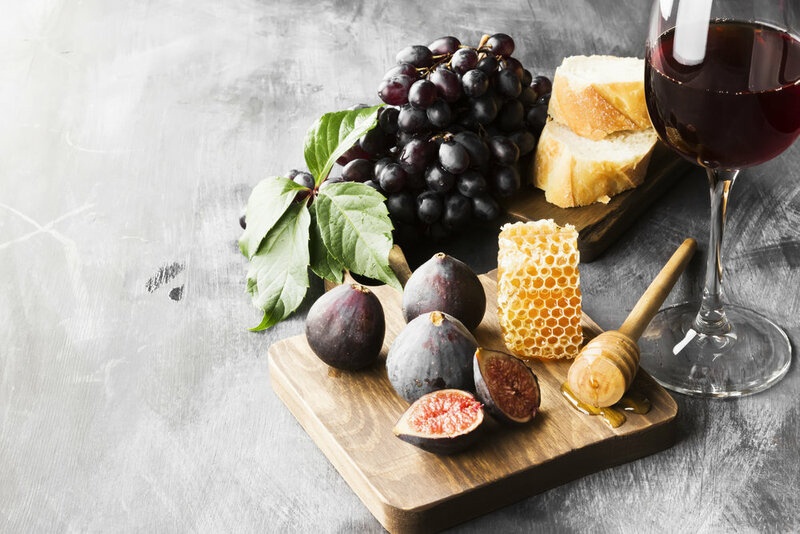 Host a fall wine festival and let guests taste samples of your new beverage offerings. You can do a wine and cheese pairing event and make a profit off of ticket purchases. Take it a step further and offer a paint and sip party featuring a harvest-inspired painting. You can also host an exclusive fall tasting menu night where guests pay a prix fixe fee to get a taste of your new menu items. Looking to increase traffic to your restaurant ahead of the new season? Want to do something fun for your guests? Start an autumn-inspired contest to get people talking about your business. Depending on your goal, a contest can be as easy as asking customers to write down their name and email for a raffle. The prize can be a $100 gift card to dine with you, a fall-themed picnic basket, or tickets to a local event. This is a win-win for you and the winner because they received a prize and you’ve just captured email addresses. Build an email list to keep customers in the know about future contests and other happenings. Once a winner is chosen, spread the great news on your social media accounts. Tag the winner and ask them to take a photo with their prize to post on their own account. You can also run your contest on Instagram. Create a contest-specific hashtag like #ForrestCafeFallsforFall. Ask diners to take a photo at your restaurant, follow your account, tag two friends, and use the hashtag. Pick one lucky winner from those who followed all the rules. You can gain followers this way and also have the opportunity to follow those other social users who were tagged in their friends’ posts. Build a social community through a contest, it’s simple and effective. New seasons are Mother Nature’s way of giving you more business opportunities. Play up the excitement of the introduction of autumn by giving your restaurant a fresh start to fall. From things as simple as cleaning the space to running contests and promoting events, there are plenty of ways you can prepare for the season ahead.